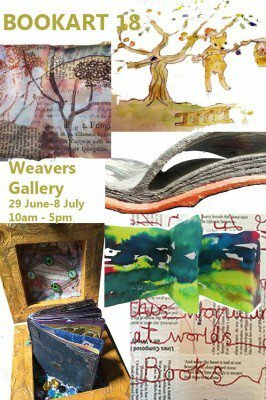 Ledbury BookArts annual exhibition for the Ledbury Poetry Festival. Also a fantastic textile art exhibition on at the gallery at the same time. Ledbury BookArts Group members all live in or very near Ledbury and are interested in contemporary ideas around the book as a medium to make art. See Ledbury BookArts Facebook page to contact.